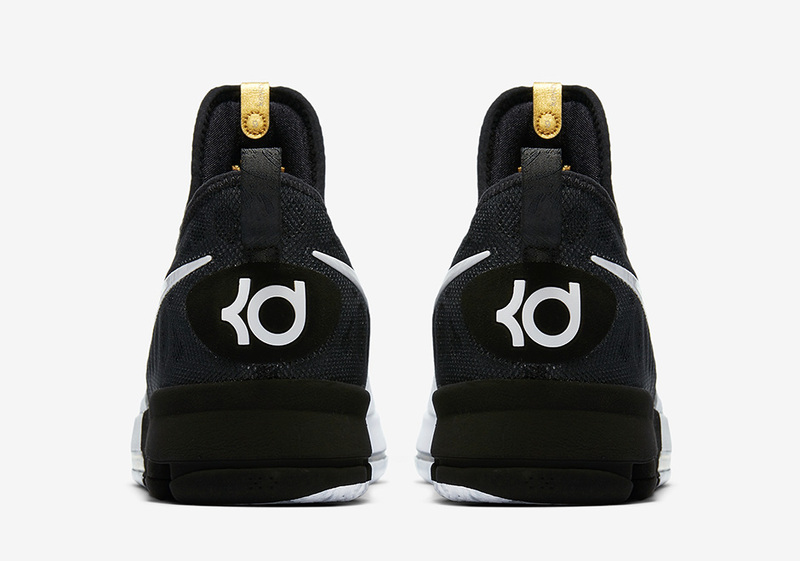 Jordan Brand and Nike Basketball announced their Black History Month Collection yesterday featuring a number of fresh performance and lifestyle updates, and today we get official images of the latest predominantly white/black colorway of the Nike KD 9 in honor of the BHM celebration, slated to release on February 16th for $150 USD. 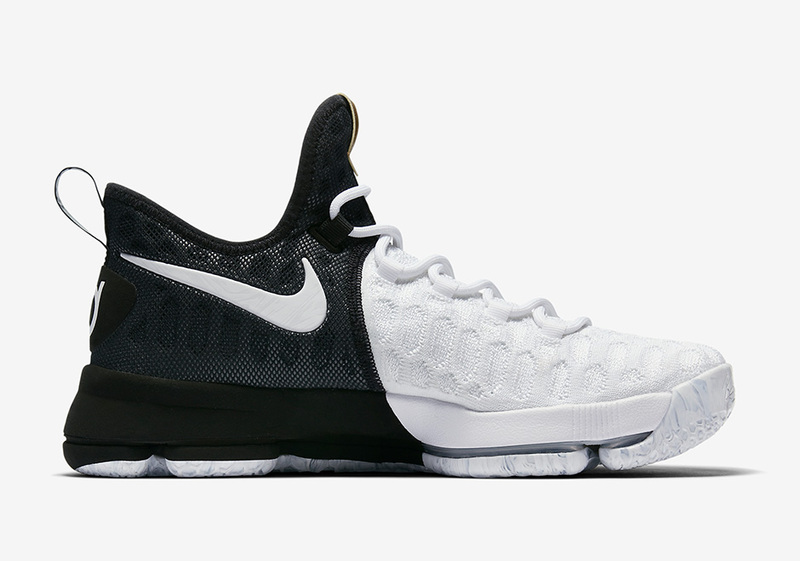 The KD 9 has always benefited from high-contrast section on the forefoot and heel, and the flexible woven Flyknit construction has made this silhouette a must-have for on-court performance. 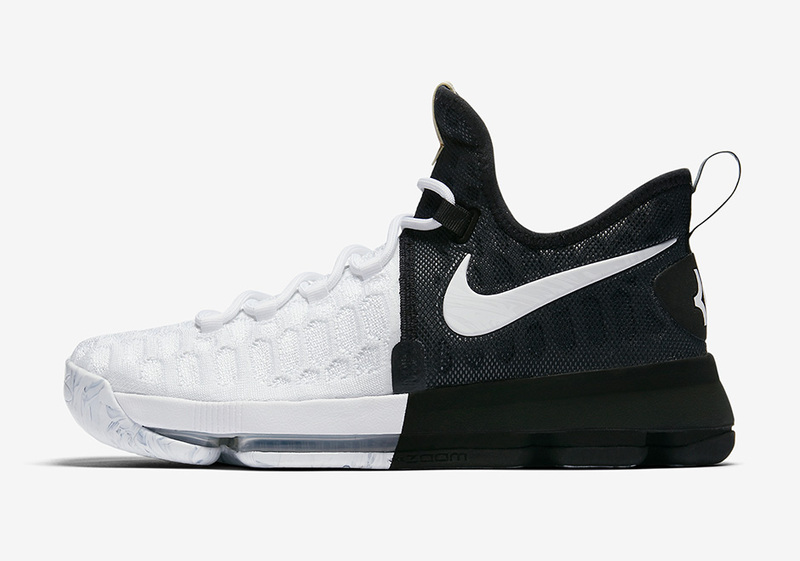 The KD 9 BHM features a 50/50 split of a half white and half black colorway with additional marbling on the outsole unit for a head-turning look. 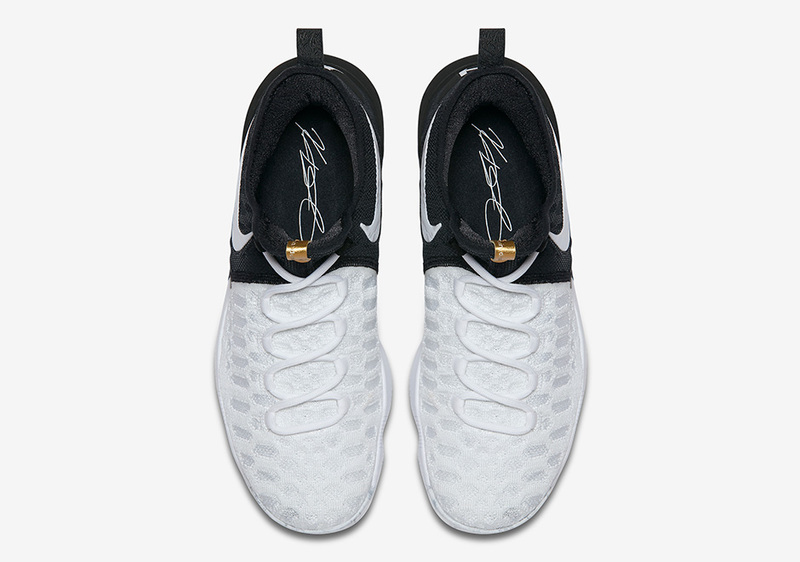 The only Metallic Gold touch comes on the updated tongue tag. What do you think of the look? 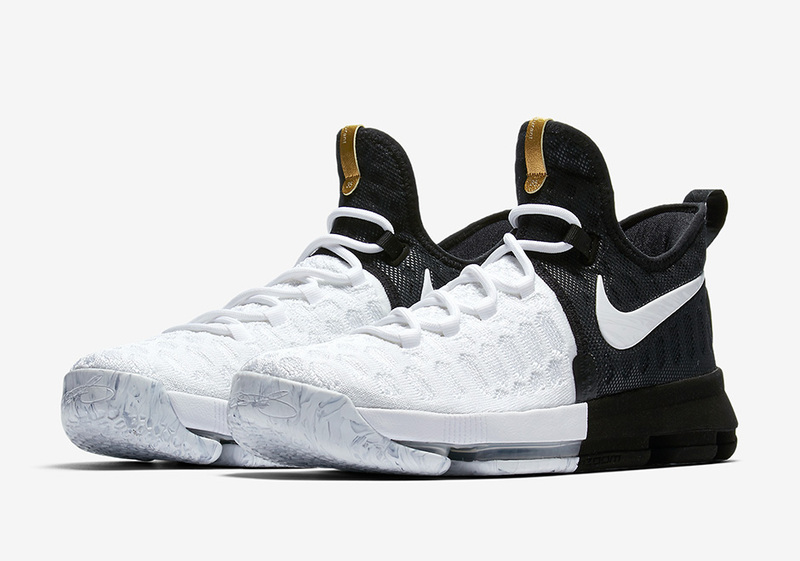 Check out more photos of the KD 9 BHM below and grab your pair on February 16th from Nike.com. 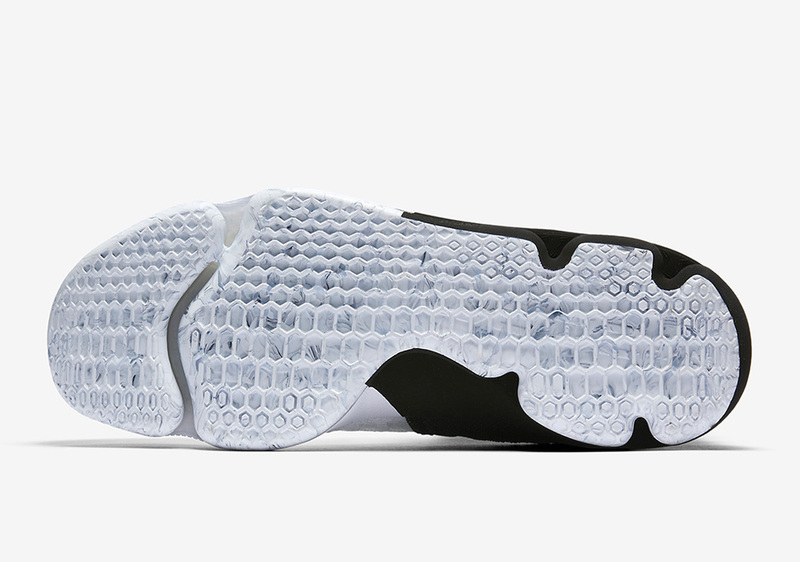 Stay tuned for more of the latest Release Dates right here on Sneaker News.